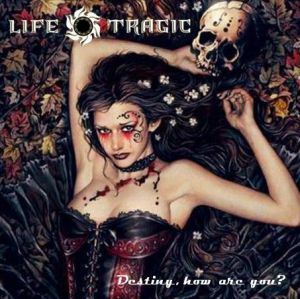 Initially formed as a cover band, Minnesota's Life Tragic have issued their debut album of original hard rock tunes. Sporting "Suicide Girl"-inspired cover art by Spain's Victoria Francés, Destiny, How Are You? is an entertaining album of post-grunge hard rock that - at times - emulates the band's influences just a touch too well. "Easy Enough" starts the album off with an overwhelmingly Velvet Revolver sound, particularly in the slightly sleazy tones of Tim Butler and Geoff Franz' riffs and leads. Throughout Destiny, How Are You?, Butler and Franz make it clear that they are connoisseurs of the Slash-meets-Jerry Cantrell school of guitar slinging. Typically this influence manifests as such - just an influence, resulting in familiar yet unique riffs and leads. 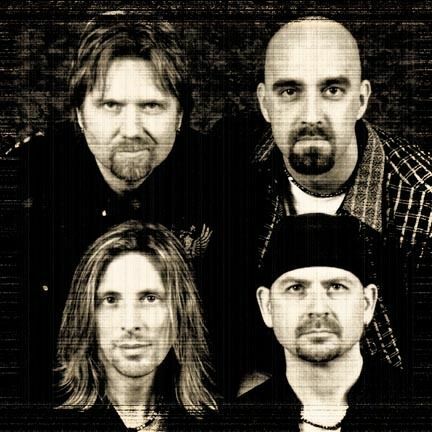 On songs such as "Easy Enough" and the Alice In Chains-influenced "Do Me Bad Things", however, Life Tragic allows their history as a cover band to dominate the originality of their songwriting. The majority of the songs on the album fortunately avoid overt '90s grunge references and instead call attention to the band's high-energy, original rock sound. The song that stands above the rest as a uniquely Life Tragic song is, appropriately, "The Life Tragic". Comprised of extraterrestrial guitar effects, an upbeat mood, and gurgling/growling vocals, this song is the most experimental on the album and turns out to be the standout number - which is not often the case when a band attempts to push boundaries. The more standard rock fare of the dark sounding "Sea of Red", the bass heavy "Complications", and the acoustic "Angel Lust" may not be as identifiable as "The Life Tragic", but represent the band's core blue-collar sound and serve as the granite upon which Destiny, How Are You? is built. Life Tragic takes another risk near the end of the album with a live cover of Prince's hit "When Doves Cry". I encourage you not to snicker until you've had a chance to listen to the track, as it's an interesting take on the fellow Minnesotan's original and probably one of the band's favorite live numbers. As a debut album of original material by a former cover band, Destiny, How Are You? reveals that Life Tragic is still holding on tightly to the sound of their past as they edge closer to establishing an identity of their own. Nevertheless, fans with an awareness of the past two decades of rock will find much about this album that is appealing as we anticipate the next chapter of Life Tragic.